Utilities ae rethinking how homes and small businesses will meet their needs for energy. The day of a personal power station for each home or small business is coming. Just like the transition from mainframe computers to microcomputers, iPads and mobile devices solar panels, wind turbines and assorted other natural gas burning generation devices such as fuel cells and micro-turbines will all be deployed, the mix of which will be based on geographic location. Every home or small business owner will have the choice on how they would like to acquire their electric power. 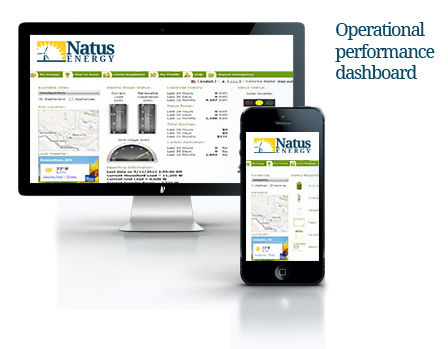 The Natus Smart Energy Appliance, offers the perfect solution to automatically and seamlessly manage utility supplied power with alternative sources of feed in electric suppy all the while in the background persitently managing your home or small business's use of electricity. A simple, safe and systematic approach to controling your energy resources, saving you money, and ensuring you have secure reliable electric power when you need it. If you would like to learn more about the Natus Smart Energy Appliance join our growing list of people by providing your name and request for additional information on our Contact Us Form.